Dr. Sheila Johnson – Hunt is an ordained Baptist minister, songwriter/arranger, choral conductor, recording artist and a college professor. A native of Dayton, Ohio, she holds a bachelor degree in music and master’s degree with emphasis in counseling from Western Kentucky University; earned doctor of philosophy from University of Pittsburgh and an earned doctor of ministry degree from Pittsburgh Theological Seminary. She has served as professor and administrator in a number of colleges and universities. Her teaching and mentoring focus for pastors, missionaries and church leaders enrolled as doctoral student at the United Theological Seminary is "Intergenerational Urban Ministry." Her work with women is known throughout Greater Pittsburgh and the state of Pennsylvania. During her 14-year leadership of the New Choices/New Options Program at the Community College of Allegheny County, she assisted over 1,500 women in crises become emotionally and economically self-sufficient. Her success was lauded throughout the state as politicians, educators and social service professionals saw her program as the key to moving women into productive and successful areas of life. In 2018 the New Pittsburgh Courier recognized her as one of the "Women of Excellence" in the city of Pittsburgh, PA.
As a musician, Dr. Johnson – Hunt is known in music circles throughout the nation and Europe . In 2018 her 8th recording, a single entitled "Freedom" debuted on the Billboard Hot Singles Sales Chart at #9. "Freedom" also was in the Top 10 songs on the Shoggy Tosh International Chart in England, Nigeria, Wales, Sweden, Northern Ireland and Scotland. 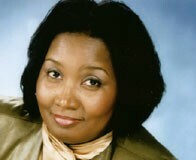 She has served as a conductor, director and composer/arranger in residence for numerous citywide and convention choirs, appeared a number of times on Bobby Jones Gospel, toured in Europe, former member of the national faculty of the Gospel Music Workshop of America in addition to other accolades that could be accredited to her. A number of songs on her 7th recording entitled "Move With God" (www.cdbaby.com/drsheilaj2) are being sung currently through the nation. Her arrangement of the American Spiritual "Little David Play on Your Harp" was included in the 2016 music packet of the Hampton University Ministers' packet. In addition, her composition "Jesus the Problem Solver" was a featured song of the 2013 GMWA (Gospel Music Workshop of America) International Mass Choir. It was also featured in the music division of the National Baptist Convention USA Inc. 2013 annual session. As a minister, Dr. Johnson – Hunt has traveled throughout the US and abroad, preaching, teaching and facilitating at workshops, conferences and revivals. Pastor James E. Hunt and Rev. Dr. Sheila Johnson – Hunt hold the distinction of being pioneers, as the first clergy couple in a Baptist Church in Pittsburgh area of the Allegheny Union Baptist Association (AUBA), where the pastor’s wife was an ordained minister. They also are were the first clergy couple in an African American Baptist church in Pittsburgh and vicinity where the wife of the Senior Pastor was elected by the congregation as the executive pastor. They are the parents of two adult sons, have two daughters-in-laws and four grandchildren.